Have you been asked to join Candy Crush for the millionth time? I have! 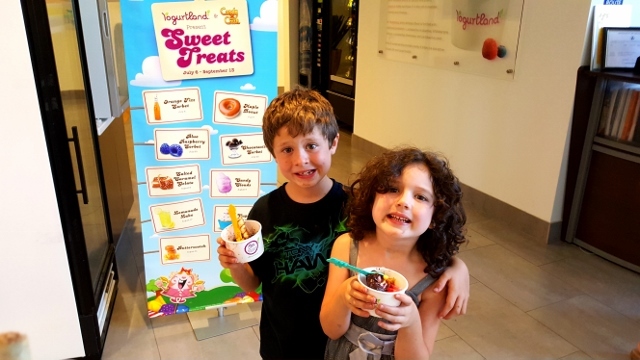 Finally a Candy Crush that you can sink your teeth into at Yogurtland. 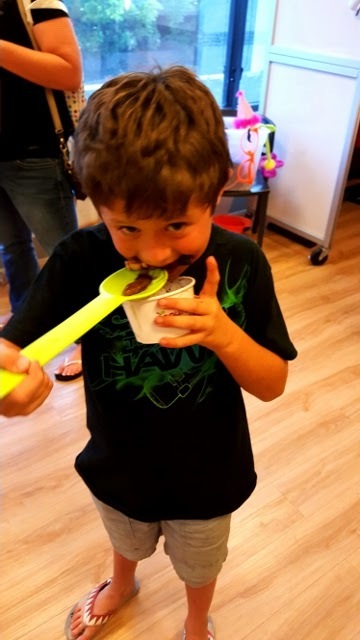 Yogurtland is our favorite go-to place for frozen yogurt and they just made things a lot sweeter. 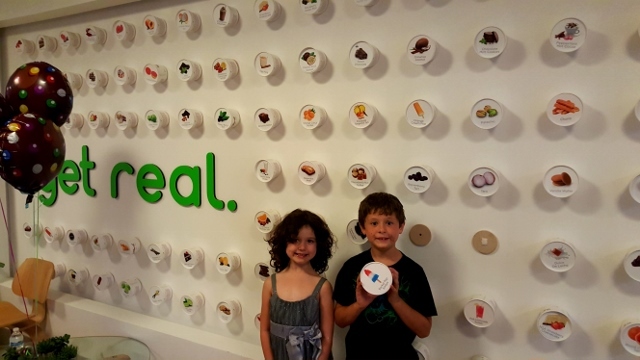 When we got the chance to check out how the Froyo was made, we jumped at the chance. All of the new flavors being released this Summer have a candy theme. Cupcake, Orange Fizz Sorbet, Chocotastic Sorbet, Candy Clouds, Salted Caramel Gelato, Lemonade Bake, Blue Raspberry and more. Although these are the latest Summer tastes, as you can see, there have been hundreds of them in the past. 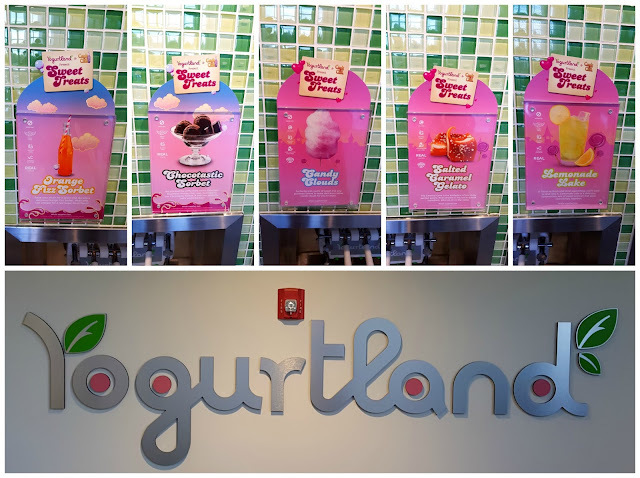 Did you know that 95% of Yogurtland's flavors are all natural? The lab where the magic happens looks like Charlie and the Chocolate Factory! Delicious! As we examined the flavors, one stood out. The Rocket Pop was one of my favorite flavors as a kid and now my kids adore it. After you choose your favorite flavor, you need toppings. What kind of toppings? Candy, cookies and doughnuts of course! There were activities at the head quarters that made us feel so welcome! Here my children spun the wheel and won free extra large spoons. My son decided he could scarf down his froyo better that way. 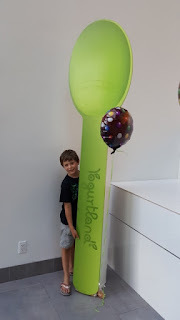 Luckily, he realized that the x-large spoon was too big! 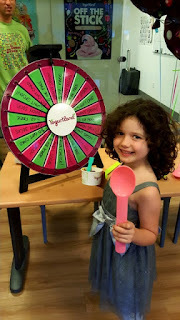 Can't get enough of Yogurtland? 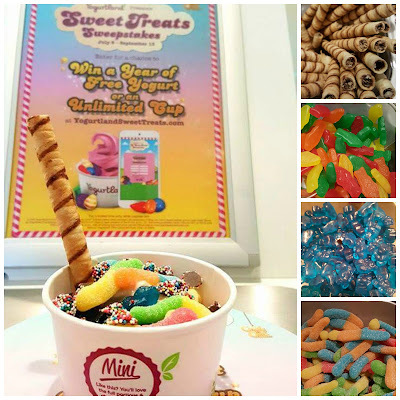 Win a years worth of FREE Frozen Yogurt! 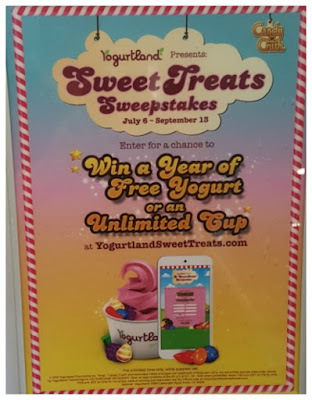 Go to YogurtlandSweetTreats.com for more information. I just had the maple donut flavor this weekend, it was quite delicious.